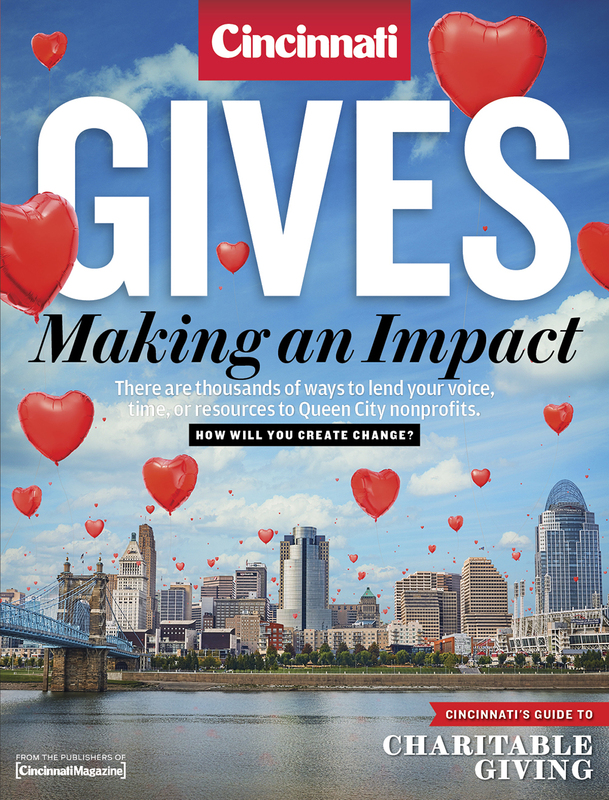 <i>Cincinnati Magazine</i> wants to connect readers with local nonprofits in a meaningful way with <i>Cincinnati Gives.</i> Here’s how it all works. Cincinnati Gives isn’t just this magazine. It’s much bigger than that. That’s because it also includes the Cincinnati Gives Online Fund-raising Challenge, powered by Crowdrise. Open to all nonprofits, the challenge is designed to reach the region’s most passionate philanthropists while generating a significant monetary impact for the organizations that participate. Local nonprofit organizations sign up to participate in the challenge. Visit crowdrise.com/cincinnatigives to see which charities are taking part. The nonprofit that raises the most funds during the challenge period is awarded a cash prize on top of the money they’ve already collected. The challenge launches on Giving Tuesday, which is November 28, 2017. Donors can go online from November 28 to January 2 and make a donation to their desired charity. You may see your favorite nonprofits talking about the Gives Challenge on social media channels. They drive awareness and encourage donor participation through Facebook, Twitter, and other online channels. #CincinnatiGives was trending on Twitter on the Challenge launch date in 2016. In 2016, the total impact was $279,916. That includes the $30,000 in cash prizes donated by Cincinnati Magazine to the top three winners: A Child’s Hope Int’l, Greater Cincinnati Behavioral Health Services, and ArtWorks. Here’s a look at who donated funds to charities during the 2016 Gives Challenge.